The winged goddess of victory, Nike was the divine charioteer rewarding battlefield victors with laurel leaf wreaths of glory and fame. 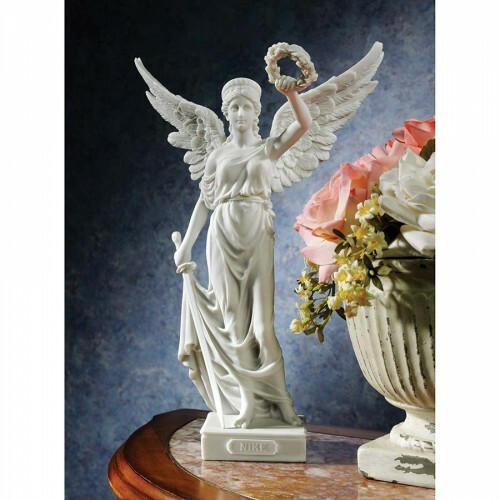 Our over foot-tall mythological angel statue is sculpted with sword and crown as a bonded marble resin sculpture boasting strong lines that culminate in elegant, horizontal angel wings. This icon of hope, faith and life is an enduring symbol to be celebrated.